The Vaxevanis trial: no lawyers, no witnesses? Apparently no problem. As we posted earlier today, the re-trial of Kostas Vaxevanis for publishing, back in October 2012, a list of 2000+ names of Greek bank account holders in Switzerland, known as the Lagarde list, was due to take place this morning in the Athens courthouse. It took the court a full hour and a half, from 9:00 until 10:30am, and three private conversations in recess, to determine that, in the absence of two of three defense lawyers and of three of four defense witnesses, the trial should be postponed. This week, on the occasion of the upcoming appeals trial of Kostas Vaxevanis, the journalist who was arrested and tried once already in November 2012 for publishing the Lagarde list in his magazine HOT DOC, the #rbnews international show focused on the issue of freedom of the press in Greece. We were able to interview Kostas Vaxevanis himself, but also Dimitris Trimis, chairman of the Athens Daily Newspaper Editors’ Union, Marios Lolos, chairman of the Greek Photojournalists’ Union, and his colleague Tatiana Bolari, and Angélique Kourounis, a correspondent for various French-speaking media in Athens, who also acts as the local representative of Reporters Without Borders. This show is part of a series prepared by the radiobubblenews team, which will carry on across the coming week and will seek to discuss the various impediments to the realization of this essential democratic liberty. You can listen to the podcast, as usual, after the jump. Is there a prosecutor to do the obvious? Yes, I know, this sentence has been written and said thousands of times before, but I don’t know what else I can write anymore. The Parliamentary Committee investigating the issue of the Lagarde list  has now officially received from the French authorities documents describing how the list arrived in Greece. This fully confirms HotDoc’s findings: we wrote that the list arrived through official channels from France, together with official handover and delivery notes, in order for it to be used by the tax department. 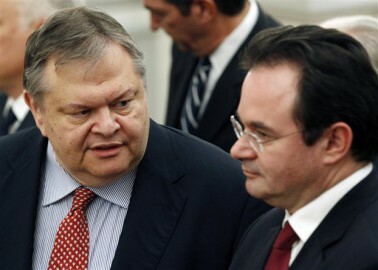 Everything we uncovered as journalists with information provided the French Ministry of Foreign Affairs and the Greek Embassy in Paris has now been forwarded, officially, to Parliament. The following is a summary of pages 14-41 of the 26th issue of the magazine HotDoc, whose editor is journalist Kostas Vaxevanis. The 3rd issue of the magazine HotDoc, dated 24 May 2012, revealed sensitive information about scandals involving Greek banks. Advance copies had been sent to other news outlets. On 23 May, Fimotro, a blog often denounced for engaging in defamation and blackmail, published a picture of a receipt allegedly issued by the Greek Intelligence Service (EYP) in the name of HotDoc’s editor, Kostas Vaxevanis. The receipt was dated 15 June 2011 and said he was paid €50,000 for services to EYP for the 1st semester of 2011. Fimotro, as well as other blogs which circulated this picture of the receipt, also played a role in portraying Reuters’ Steven Grey, who was researching a similar story on Greek banks, as an “agent” of unknown forces who sought to ruin the Greek economy (Reuters published at the time a long piece on the surveillance Grey was subjected to). Our guest on the #rbnews international weekly show today was Aris Chatzistefanou (@xstefanou), of Debtocracy and Catastroika fame. We discussed Golden Dawn, its links with the Greek police force, the many failures of Greek media to handle these issues and the publication of the Lagarde list” in Hot Doc magazine. The weekly news section is a little longer than usual, as there were many things to report this week.